Union Public Service Commission has declared the result of Combined Defence Service Exam 2018. 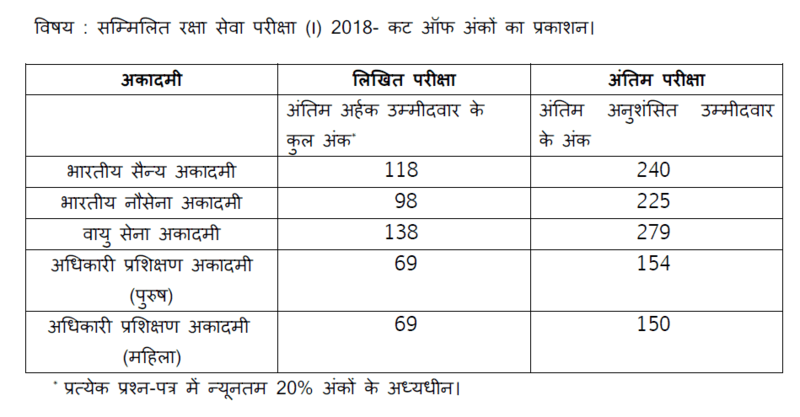 UPSC CDS(I) Exam 2018 Marks: Union Public Service Commission has been declared the marks obtained by recommended or qualified candidates in the examination. Candidates who appeared in the written exam check their score card. *Subject to a minimum of 20% marks in each paper.